Black holes are usually created when stars die cataclysmically in a supernova. Other than black holes there are white holes (white hole is only a theoretical concept for now). Its imagination day today, and we’re going to talk about fictional or more like theoretically possible concepts. 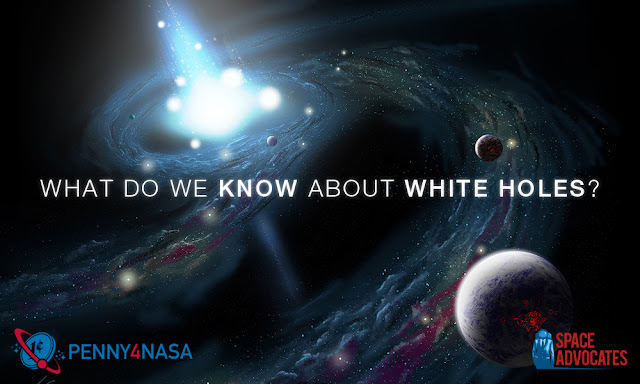 So today, we’re going to talk about white holes. So here is an awesome explanation of white holes by Fraser Cane.